A shot of colour and an instant pick-me-up. 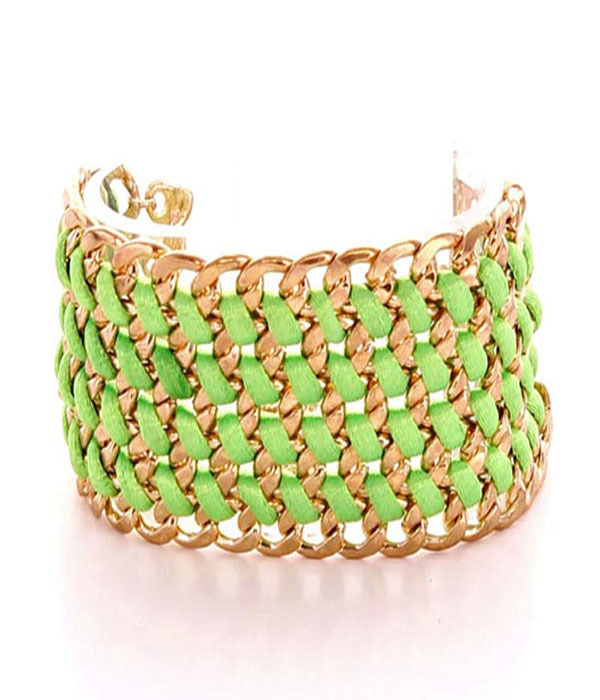 The Kari bracelet takes on a paracord design weaving lime fabric through a cuffed bed of gold-plated chain link. Including a clasp fastening. Wear it with your hair down and something breezy. Add style to any outfit with this stunning fashion jewellery item, buy now!